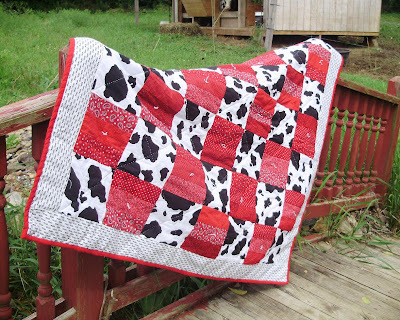 Not my best quilt ever, but it is FINISHED!!! AND I got it done BEFORE her first birthday (with 4 hours to spare). 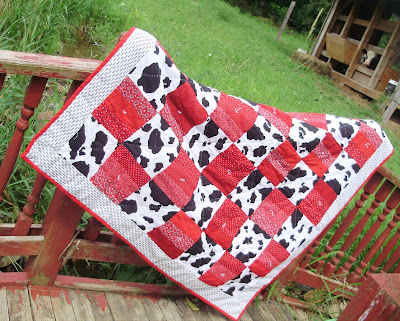 I originally wanted to machine quilt this one, but since I can't lower my feed dogs, it was a failure. :( So, rip, rip, rip it was. 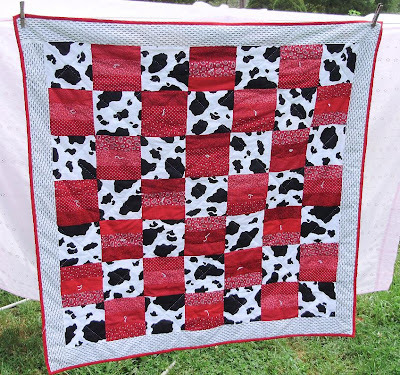 Then I hand quilted the cow blocks, but I couldn't figure out how to quilt the red blocks, so I gave up and tied them instead. 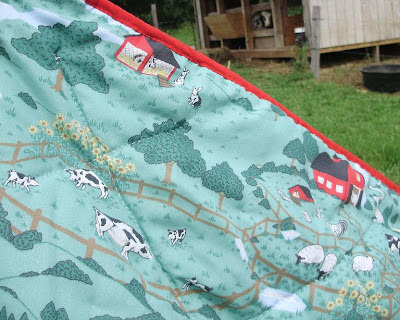 The back is a cute farm print that I had and the reds are all leftover from a red tractor quilt I made a few years ago (I pieced this top in my "pre-baby rearranging use it or move it sewing stage"). 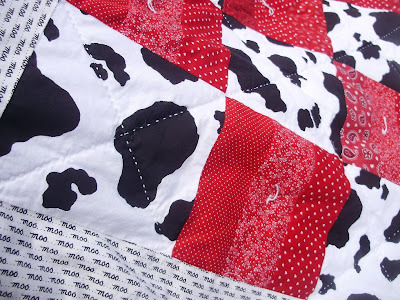 I love the little "moo" fabrics on the border and the red binding, too.